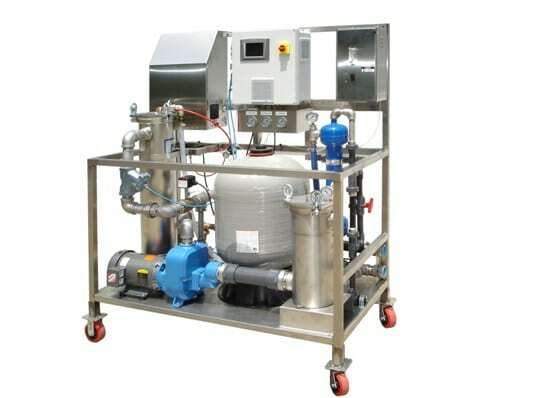 Self-contained unit with 316 stainless steel self-cleaning filter element. Onboard ozone generation and recirculation. 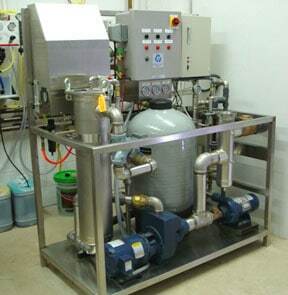 Supplies up to 125 gallons per minute of treated and filtered water. Filtration down to 25 microns absolute. Ozone recirculation system is complete with oxygen concentrator, ozone generator, Mazzei ozone injector. Ozone removes VOC’s, organics, biologicals and hydrocarbons from the treatment water providing disinfection, odor and color removal. See tanking data sheet for example treatment tanks.